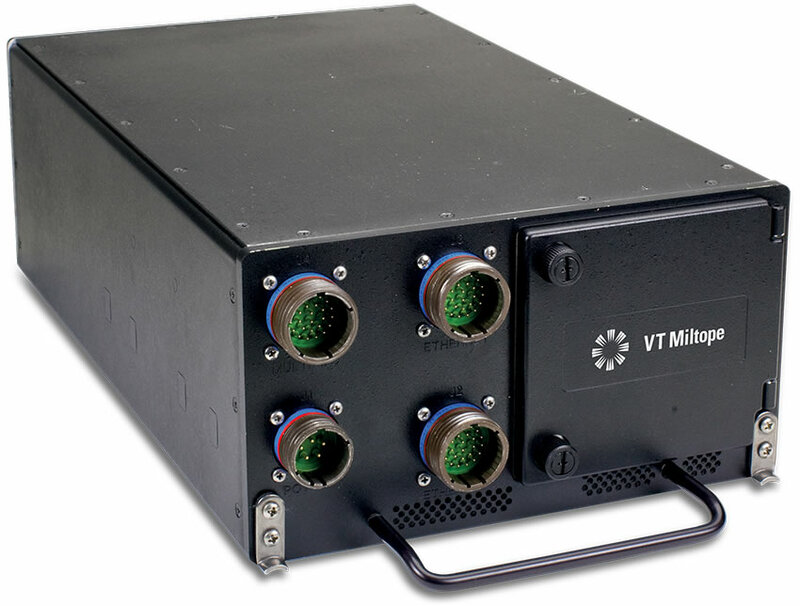 The VT Miltope Mass Memory Server-2 (MMS-2) is a system platform designed specifically for rugged applications. The MMS-2 is a small, light, fast, customizable and capable MMS-1 designed to suit any rugged program’s data storage and distribution needs. 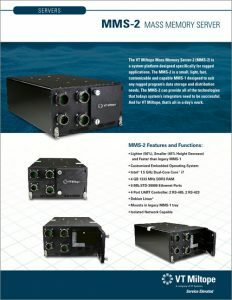 The MMS-2 can provide all of the technologies that todays system’s integrators need to be successful. And for VT Miltope, that’s all in a day’s work.